Antivirus Protection 2012 is the PUP that uses misleading techniques to prevent removal. Use Reimage to locate malicious components and get rid of them faster than with uninstall instructions. A full system scan blocks virus reappearance and prevents traffic to malicious domains. Antivirus Protection 2012 is a typical cyber threat that pretends to be legitimate. Trying to do that, this scamware displays trustworthy-looking but completely fake alerts and scanners that all report the same useless information about numerous viruses detected. Please, never fall for Antivirus Protection 2012 because it's useless and has no capability to detect or remove malware. That's because it has an empty virus database and 'finds' the same viruses on every computer that it manages to infect. If you find this malware on your PC, remove Antivirus Protection malware without any delay. Spyware.IEMonster process is found. The virus is going to send your passwords from Internet browser (Explorer, Mozilla Firefox, Outlook & others) to the third-parties. Click here for further protection of your data with Antivirus Protection 2012. Your computer is being used as spamming machine. You can get sued for spam. Your computer WIL BE DISCONNECTED FORM INTERNET BECAUSE SPAMMING OTHER PCs. To help protect your computer, Security Center has blocked some features of this program. Your system is making an unauthorized personal data transfer to a remote computer! Warning! Unauthorized personal data transfer is detected! It may be your personal credit card details, logins and passwords, browsing habits or information about files you have downloaded. To protect your private data, please click “Prevent Connection” button below. You have been infected by a proxy-relay trojan server with new and danger “SpamBots”. You have a computer with a virus that sends spam. This is a mass-mailing worm with backdoor thus allowing un-authorized access to the infected system. It spreads by mass-mailing itself to e-mail addresses harvested from the local computer or by querying on-line search engines such as google.com. The IP address that YOU are getting from Internet Service Provider (ISP) for YOU personal computer is on some major blacklist. Your computer has been used to send a huge amount of junk e-mail messages during the last days. You IP will be marked in the Police log file as mass-mailing spam assist. Upgrading to the full version Antivirus Protection 2012 it will eliminate the majority of Spam attempts. As you can see, Antivirus Protection 2012 employs misleading tactics to promote its licensed version. 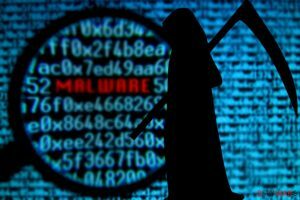 Generating bogus alerts and fake system scanners, reporting numerous security risks and disabling victim from using his PC properly – these are the main signs that you have a deal with malware. If you notice Antivirus Protection 2012 on your PC, please don't wait for long because you may end up with damaged PC. Please, use a reputable anti-spyware and remove Antivirus Protection 2012. We highly recommend you using Malwarebytes MalwarebytesCombo Cleaner or Reimage anti-spywares. If you are disabled from launching these or other anti-spyware programs, go “START” -> “RUN” and insert there taskkill /f /im rundll32.exe (keep all the gaps and slashes). This entry was posted on 2012-04-10 at 14:41 and is filed under Viruses. You can quickly scan the QR code with your mobile device and have Antivirus Protection 2012 manual removal instructions right in your pocket. How did you remove Antivirus Protection 2012?